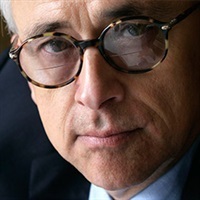 Antonio Damasio, MD is University Professor, David Dornsife Professor of Neuroscience, Psychology and Philosophy, and Director of the Brain and Creativity Institute at the University of Southern California, Los Angeles. His work on the role of affect in the process of decision-making has made a major impact in neuroscience, psychology, and philosophy. He is the author of numerous scientific articles (his Google Scholar h-index is 149; over 148,000 citations) and has been named “Highly Cited Researcher” by the Institute for Scientific Information. Damasio is a member of the National Academy of Medicine and a Fellow of the American Academy of Arts and Sciences, the Bavarian Academy of Sciences, and the European Academy of Sciences and Arts. Damasio has discussed his research and ideas in several books, among them Descartes’ Error, The Feeling of What Happens, Looking for Spinoza and Self Comes to Mind, which are translated and taught in universities worldwide. His new book, The Strange Order of Things: The Making of the Cultural Mind, to appear later this year.